ACC-1300 Two automatic core cutters, supplied for cutting cardboard and plastic cores sizes 25mm 76mm & 152mm. Both units have been supplied for 1300mm core lengths. 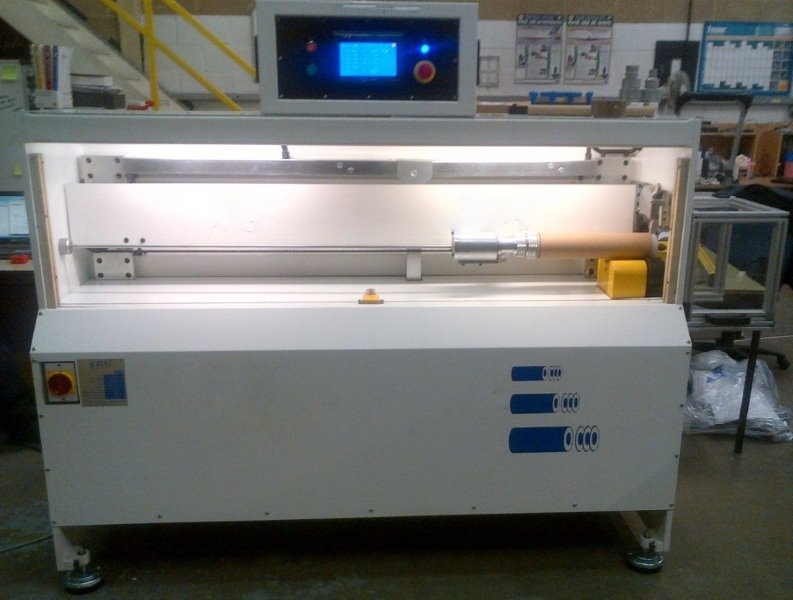 The first customer located in the UK is cutting 76 & 152mm cardboard cores. The second customer based on the west coast in the U.S. will be using 25, 76, & 152mm cardboard and plastic cores. Both these machines are now installed and running to our customers complete satisfaction.